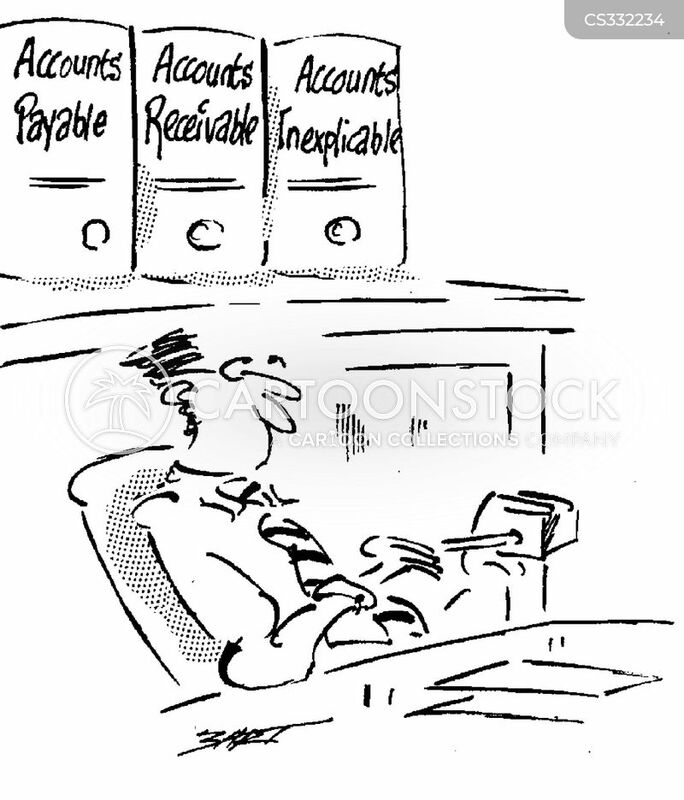 Accounting: Desk trays - 'Accounts receivable' and 'Accounts deceivable'. 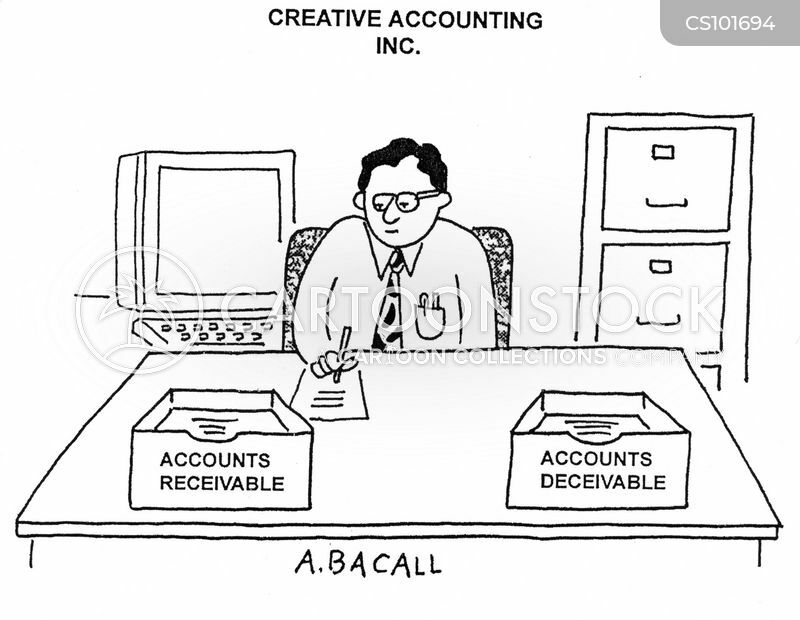 Creative Accounting Inc - Accounts Receivable/Accounts Decievable. 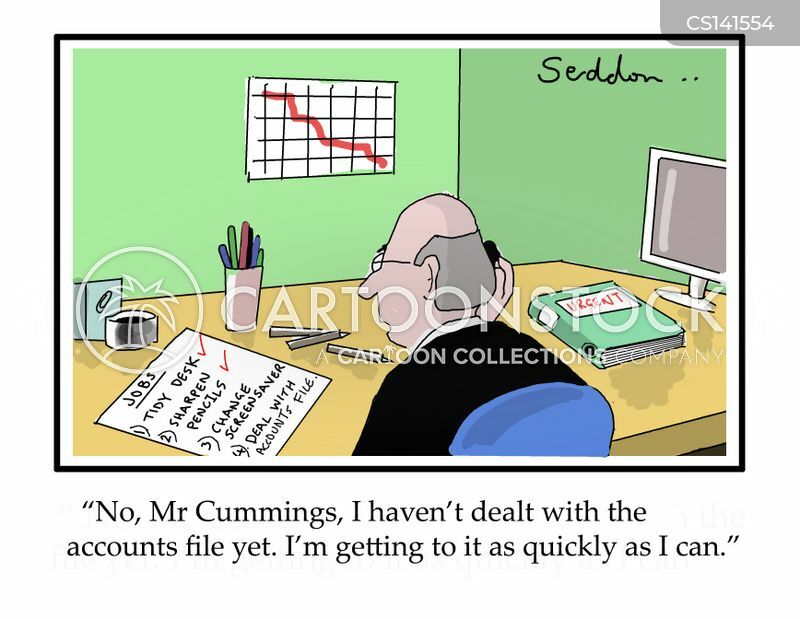 "No, Mr Cummings, I haven`t dealt with the accounts file yet. 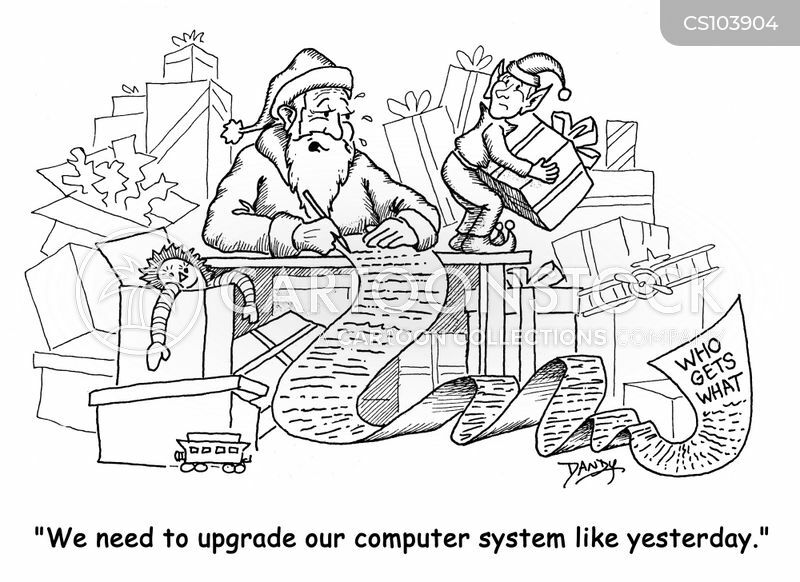 I`m getting to it as quickly as I can." 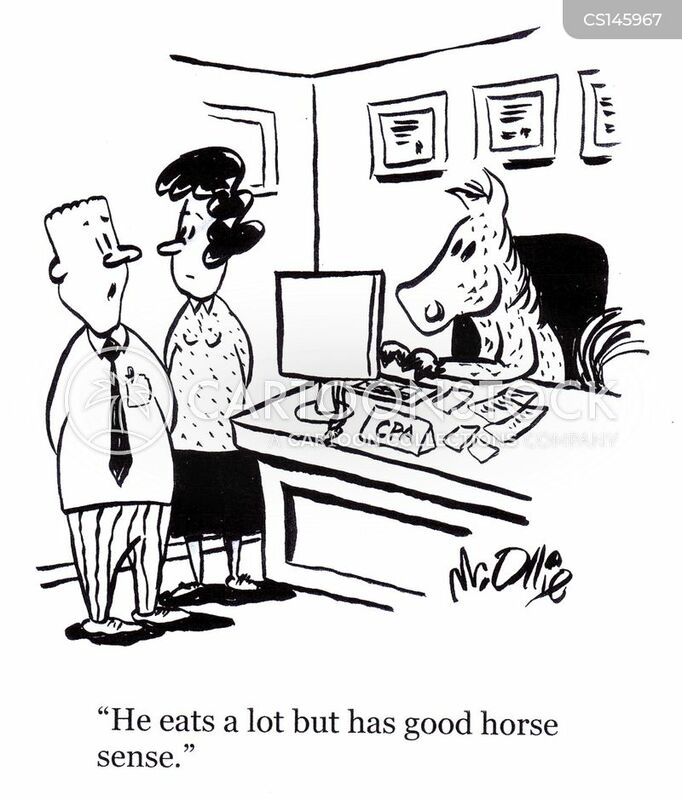 "He eats a lot but has good horse sense." 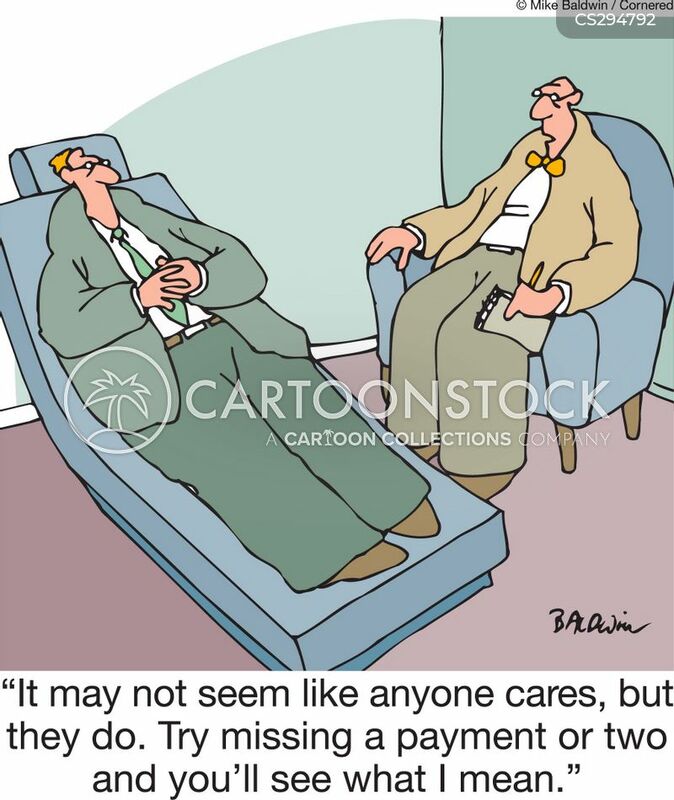 "We need to talk about your collections. 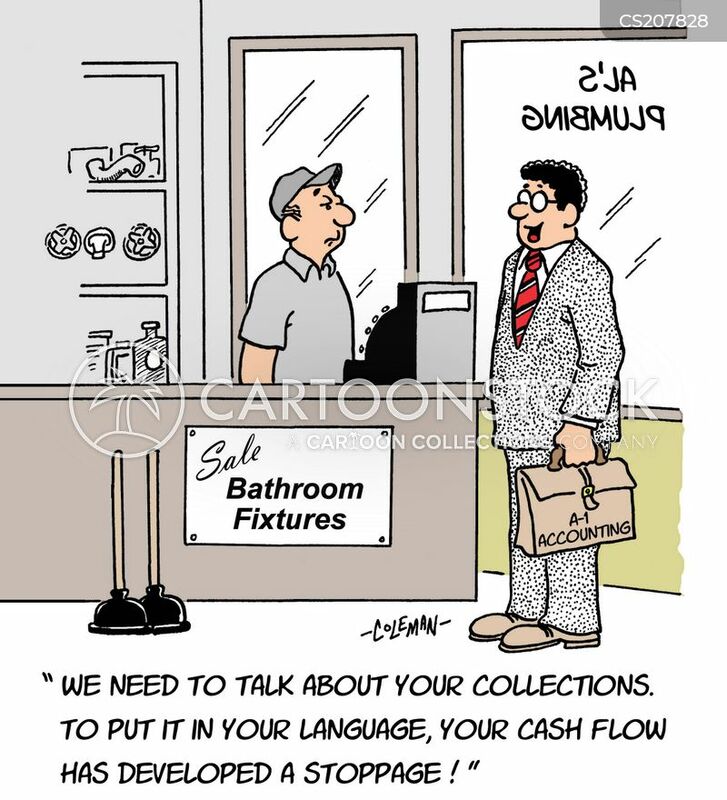 To put it in your language your cash flow has developed a stoppage." 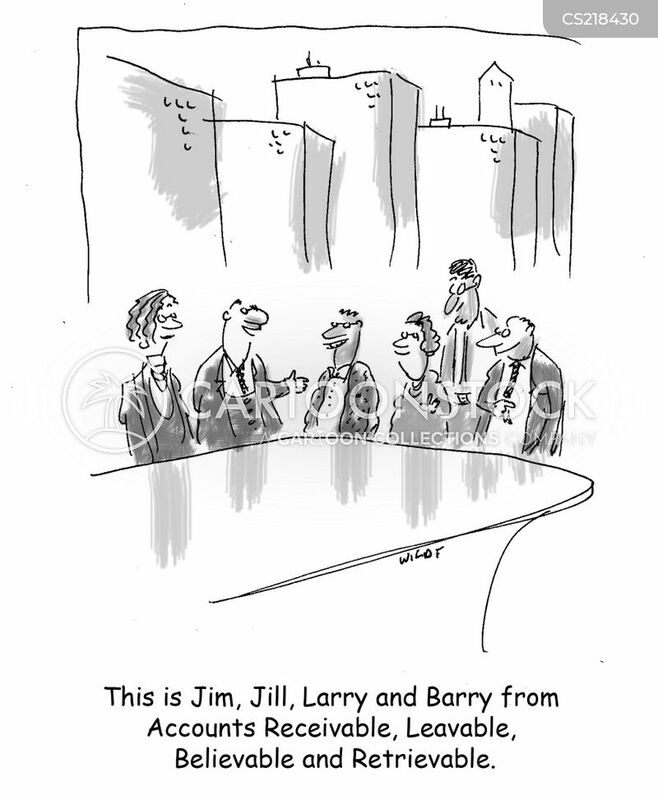 "Let's switch things up. 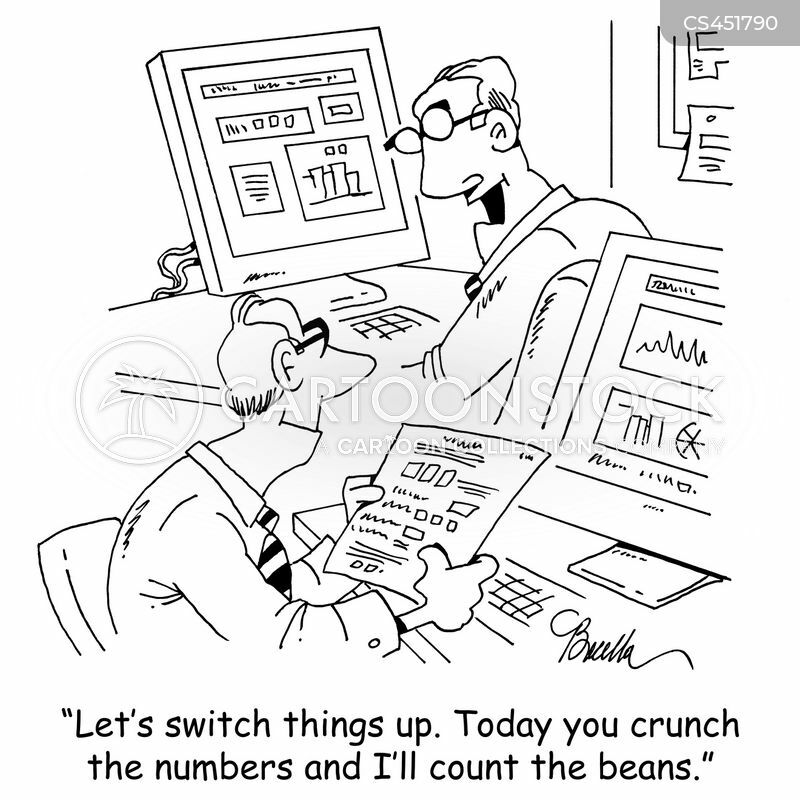 Today you crunch the numbers and I'll count the beans." 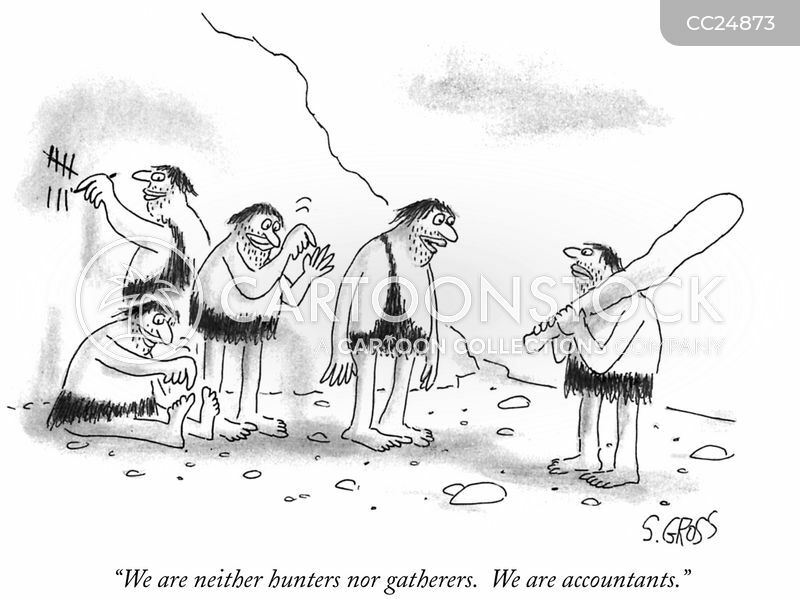 "We are neither hunters nor gatherers. 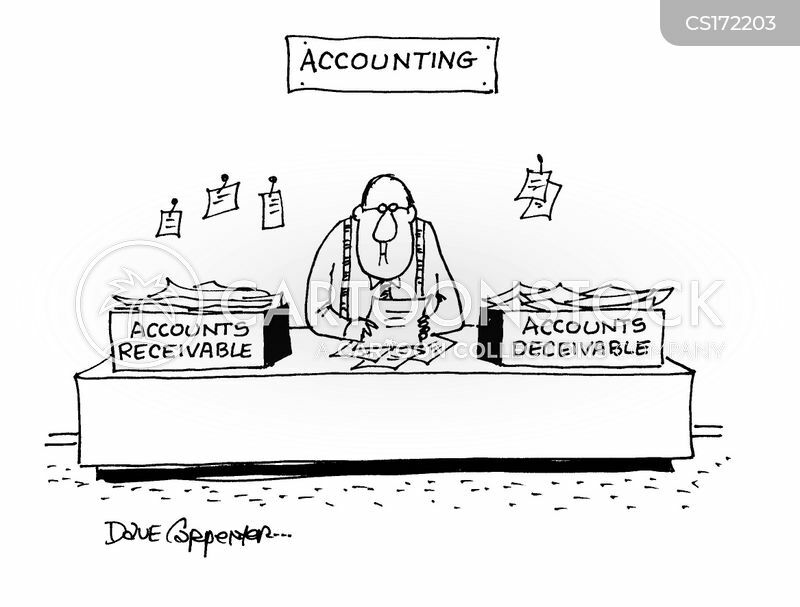 We are accountants." 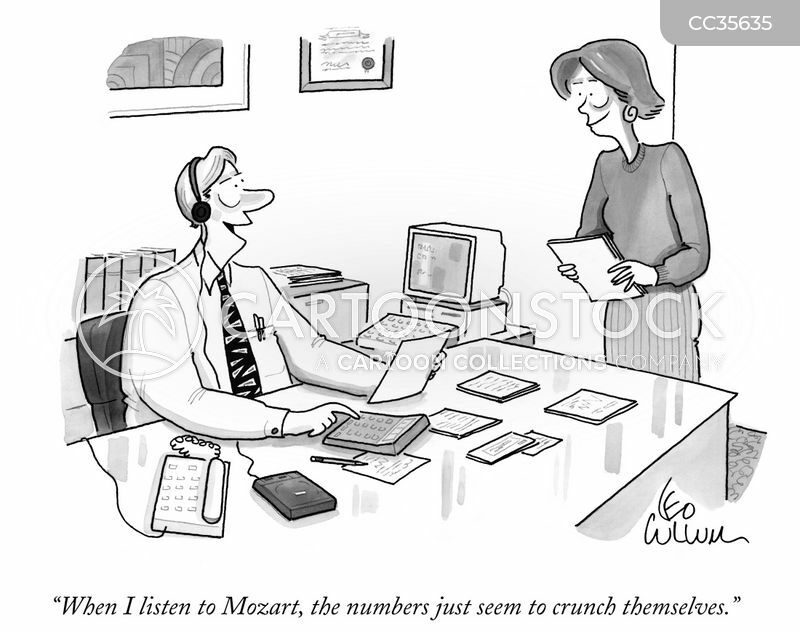 "Oh, what the hell, I'll add another zero." 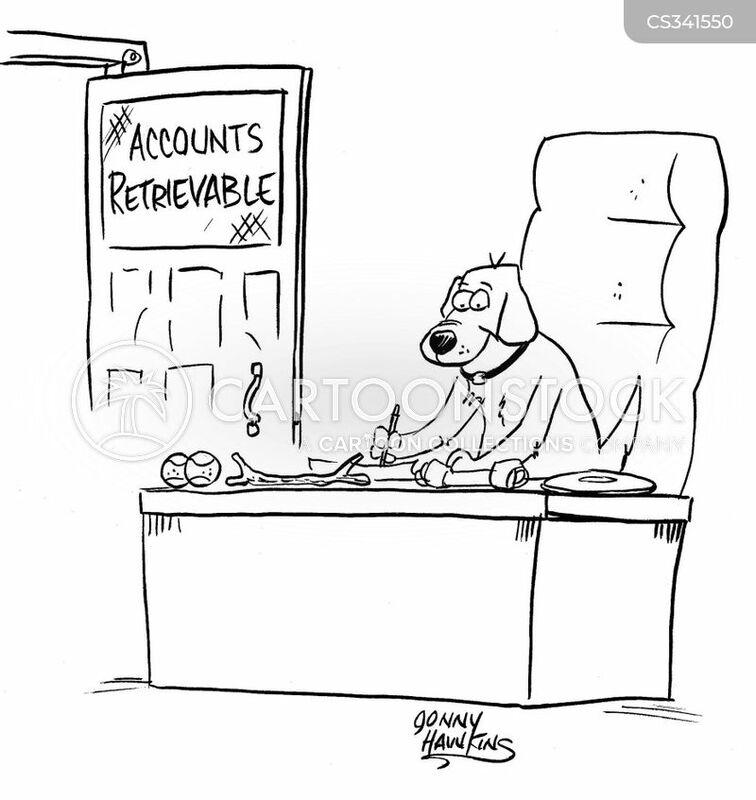 Dog at desk with sign on door saying: 'Accounts Retrievable'. "You do a very good job, Baldo." 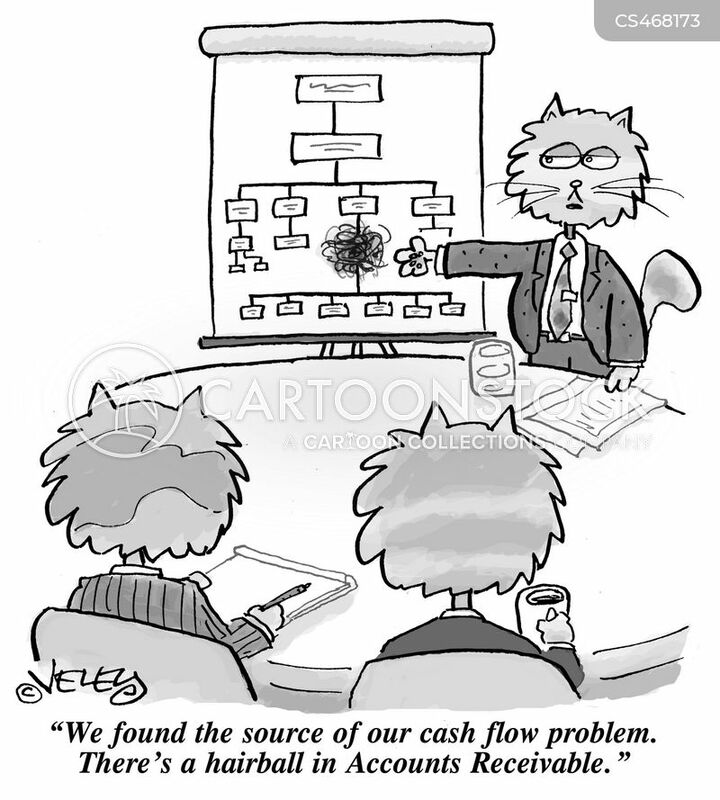 "We found the source of our cash flow problem. 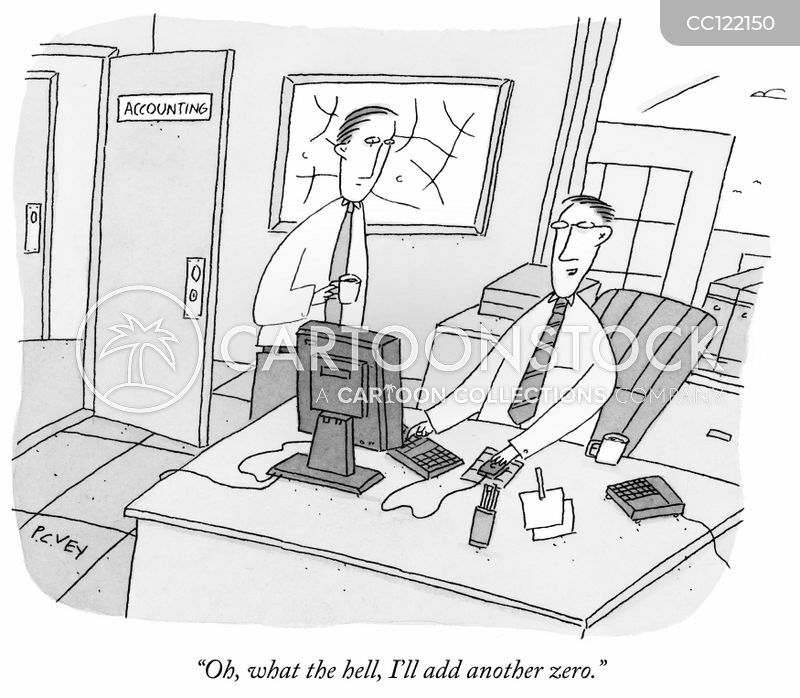 There's a hairball in Accounts Receivable."